Once again, Max’s Corner Bakery offers us sweet and ‘hearty’ treats for the Valentine’s. 14 February 2013, Makati City, Philippines- Max?s Corner Bakery ushers in the love month with three, new indulgent confections: rich Red Velvet Cupcake, heart-shaped Chocolate Truffle Cake, and sweet and luscious French Macaroons in a variety of colors. ?This season, we want to create the most heartwarming memories for couples and families by introducing three mouthwatering treats from Max?s Corner Bakery. These new additions to Max?s Corner Bakery?s wide array of pastries and desserts reinforce our commitment to come out with the freshest and most delectable treats for every special occasion,? Monette Aldos, Operations Manager of Max?s Corner Bakery. Max?s Corner Bakery?s newest sweet offerings are perfect and budget-friendly. 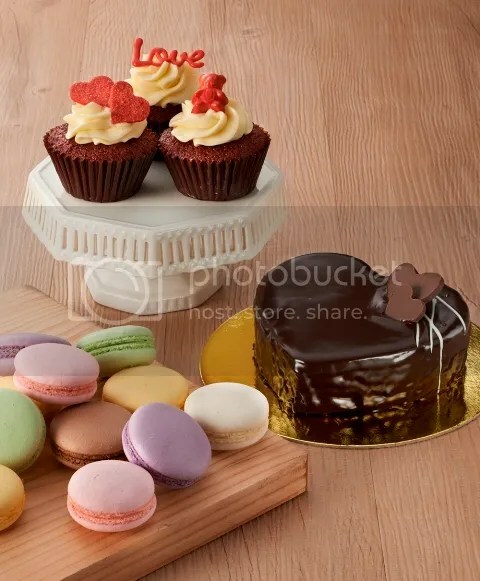 For only Php 50 per piece, customers can surprise their loved ones with the delightful sweetness of the Red Velvet Cupcake topped with cream cheese frosting, or the rich decadence of the Heart Shaped Chocolate Truffle Cake for only Php 199. For bite-size goodness, diners can try a pack of 3 colorful and deliciously light French Macaroons for only Php 88! These yummy desserts will be available in all Max?s Restaurants from February 1-28. As a special treat from Max?s, customers celebrating the season of hearts at Max?s with a minimum spend of PhP 1,500 will be receiving a free pack of Max?s Corner Bakery? French Macaroons from February 11- 17. Surely, these treats will make any meal special. Sharing the love with your special someone, family and friends will become even more unforgettable. Head on now to your favorite Max?s Restaurant and get a taste of how sweeter life can be with Max?s Corner Bakery?s newest sweet treats – made with love, always. Max?s Corner Bakery is the bakery brand of Max?s Restaurant, one of the most enduring global Filipino brands today. Max?s Corner Bakery is famous for its perennial dessert ? the Max?s Caramel Bar, and a roster of other oven-fresh, saccharine treats that have captured the heart of Filipinos all over the world. Max?s Corner Bakery?s delectable product line includes a wide variety of cupcakes, classic and custom-made cakes, breads and pastries.